Medavakkam is a popular residential area located in Southern Chennai and adjacent to the suburbs of Tambaram, Madipakkam, Sholinganallur and Velachery.Medavakkam, due to its close proximity to the IT Corridor OMR (4km from Sholinganallur) and SEZ in Medavakkam-Sholinganallur Road), is a fast developing residential locality comprised mainly of IT employees. This has resulted in increased real estate values. Medavakkam comes under the Sholinganallur MLA Constituency, and is governed under a village panchayat administration. A 2012 report said the neighbourhood was India’s sixth largest destination for investment in residential real estate among the list of top 13 places in India. Medavakkam is easily accessible from important areas like Chromepet, Pallavaram and St Thomas Mount. Good infrastructure like excellent groundwater facilities makes Medavakkam a highly desirable to reside in. The ChennaiInternational Airport is 16km from Medavakkam. The Chennai Central railways station is 27km from here. It is well-connected by road and rail. Metropolitan Transport Corporation (MTC) buses are a major mode of transport. They run from Medavakkam to all parts of the city. The major roads linking Medavakkam junction are Velachery Tambaram Road, MedavakkamMambakkam Main Road and MedavakkamSholinganallur Road. The Tambaram-Velachery main road passes through Medavakkam. The locality has frequent train service with Velachery MRTS station and Tambaram railway station located about 8km from here. 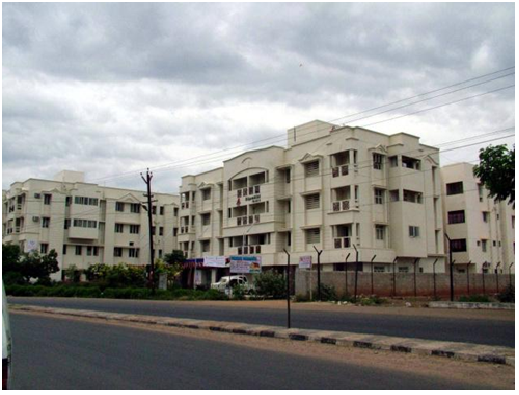 Medavakkam houses many schools and colleges. Some of the schools in and around the locality include St. Joseph’s Matriculation School, KendriyaVidyalaya, St John’s School, and Zigma Matriculation School. There are good hospitals and medical centres like Global Health Cityand Annai Theresa Hospital located in Medavakkam. The average price is Rs 4,500 per sq. ft for apartments and Rs 6,000 per sq. ft. for villas. The famous places in the locality include the Nanmangalam Reserve Forest, Nesavalar Nagar Lake and Sendur Gardens. The Nanmangalam Reserve Forest is located between Tambaram and Velachery and is home to 85 species of birds like red-wattled lapwing, crested honey buzzard and Indian eagle-owl. The forest is understandably popular among bird watchers.